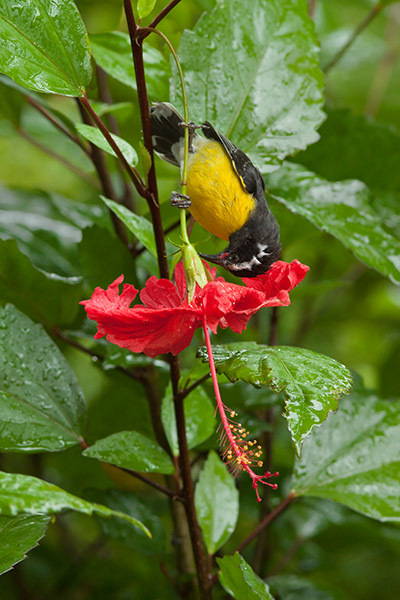 A Bananaquit stealing nectar from a Hibiscus. Unlike Hummingbirds with long beaks, Bananaquits cannot reach the nectar inside the flower. So they make a hole at the base of the flower to steal the nectar, but unfortunately do not return the favour by pollenating the Hibiscus.